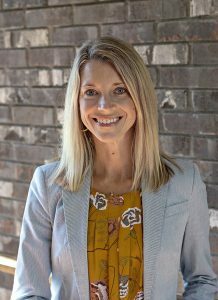 Kim graduated in 2007 from Augsburg College with a degree in Business Management, but her true passion is caring for other people on their journey to health. She became more aware of the need to live a healthy, holistic life after the birth of her first child in 2009. Kim started on a path that led her to question a lot of what she thought she knew about health and wellness, and really began to seek answers for herself, as well as her family through diet and lifestyle changes. Along the way she discovered a love of running, a passion for cooking nourishing meals for her family, and an insatiable appetite for books on nutrition and personal growth. When not at work, you can find Kim spending time with her 3 beautiful children and her fiancé Ben. Being active and outdoors as much as possible is a must for her, as well as time for quiet and connecting with loved ones. It’s all about creating balance. She looks forward to meeting you and being a part of your healing journey here at Champion Naturopathic Health. © 2019 Champion Naturopathic Health, LLC. All Rights Reserved.